These days, all it takes to escape the heat of the desert inside your home is the tap of a few buttons on your cell phone or the flip a of switch on the wall. But that wasn’t always the case. It’s hard to believe that not all that long ago Arizona was practically uninhabitable because of the intense summer heat, but until the 1920s, air conditioners weren’t in wide use anywhere. Although air conditioners have gone through a few major changes since the earliest models, we all have a swampy part of Florida and a dedicated doctor to thank for planting the seed of invention. Dr. John Gorrie, a local malaria expert, had been practicing medicine and acting as a pillar of the community for years when the worst malaria summer he had ever seen swept across the Gulf Coast of Florida. This dedicated doctor had already been tinkering with devices to help cure this dreaded disease, though he had yet to discover anything truly useful by the summer of 1841. Between his work inventing and leading swamp-draining teams, he was a man on fire — and determined to solve the malaria puzzle. mer of 1841 that Dr. Gorrie began to believe that cooling the air in his sick rooms might be the answer. By 1842, he was able to put this theory into practice when another round of patients began to fall steadily ill.
Gorrie started simply, with a bucket of imported ice and a fan set to blow across it. Those early experiences brought results that convinced him he was onto something. Even though it was nothing like what we know as an air conditioner today, the concept of the air conditioner was about to be born in Florida. 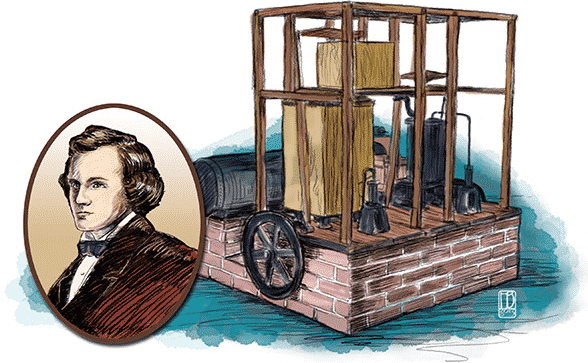 The machine he eventually patented in 1851 worked by extracting heat from water until it froze solid, using a concept that should be very familiar to air conditioner technicians today — it harnessed compressing and expanding air. Even though it looked more like a moonshine still than a refrigerator, this early cooling compressor inspired other inventors working on other climate control problems. Gorrie never made much money off of his early air conditioners, but he did inspire others who took some of his basic ideas and built upon them. Without Gorrie and those pesky mosquitoes, a young engineer named Willis Carrier might never have figured out a solution to a client’s printing problems. Although he worked as an engineer designing industrial dryers, blast furnaces and fans, Carrier was called into a printing office to help with a very different problem. The office was quite humid, which caused the paper they printed their magazines, advertisements and other important documents on to expand and contract. At that time, colors had to be applied one at a time, so a single piece of paper might go through the press three or four times before all of its colors were applied. The constant expanding and contracting of paper wreaked havoc with this process. Carrier considered the situation and eventually came up with a solution for removing the humidity from the print shop. His machine passed air through a filter, then over a set of coils containing a coolant — cold water was used at first, but soon an ammonia compressor was installed. What Carrier invented to reduce humidity also happened to cool room air quite efficiently. After several years of building these air conditioners for large industrial clients, he opened Carrier Engineering Corporation in 1915 to keep up with the demand. Because of Dr. Gorrie and a few swarms of mosquitoes, later inventors like Willis Carrier were able to perfect the modern air conditioner. Without it, we’d have a much harder time getting through Phoenix’s long, hot summers. Although we didn’t help invent the air conditioner, Precision’s NATE air conditioner repair can still help keep the mercury down. Give us a call at 602-349-6922 to schedule your appointment today. 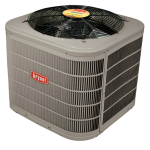 Why Should I Get an AC Tune Up? 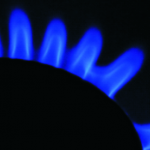 Why Are Some Rooms in My House Warmer Than Others in the Summer? Is It OK to Leave the AC Off Upstairs?